Co-chairs: Umurzakov U.P., Tovmasjana K., Rysbekov Yu.H. Continue promoting water education at all levels: universities, communities, education for youth and schoolchildren on the basis of best international practices. Contribute to mainstreaming of IWRM in education processes and building capacities of national water sector professionals, including in national and international water law, water diplomacy, new technologies and innovations. As concerns capacity building, the joint educational, training programs should be conducted and teaching aids should be provided; exchange of students and lecturers should be maintained. There is also a need for on-the-job training and workshops, professional development of lecturers and water sector experts, development of information-resource centers, small grants, etc. Create and develop the system of training at national and regional levels for water sector professional development and capacity building of water users, improve skills of upper and middle level staff in water agencies of the states through training workshops. Concerning scientific research, continue improving water resources management at basin and field level in the context of climate change, growing water scarcity, wider flow variability, etc. It is necessary to develop such water saving technologies that are suitable for specific conditions of water users, reclaim land and improve land productivity. Bridge academia and water practitioners by establishing a coordination mechanism. For facilitation of knowledge exchange and building capacity of teaching staff and students, it is recommended to create a network of universities in Central Asia in close collaboration with and under assistance from education and water resources ministries. 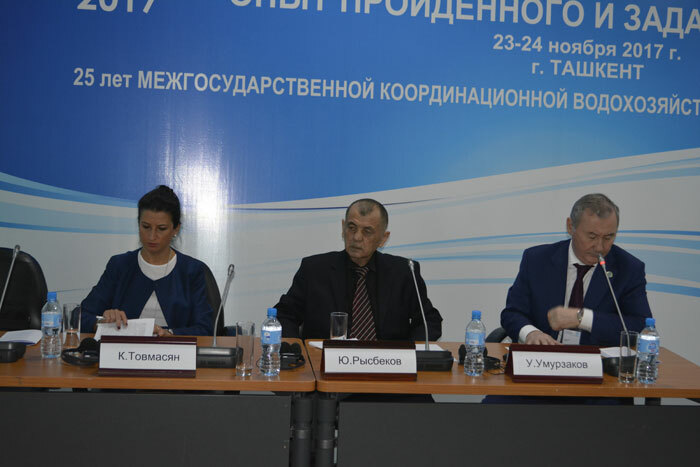 Extend the network of UNESCO chairs in water management in Central Asia, particularly, establish such chair at TIIAME. Enhance coordination of programs and projects implemented by donor and international organizations in the field of water education and capacity building.